Today I posted my most recent sermon from the Book of Ruth - Chapter 3 on the First Congregational Church of Waseca web site (blog). I have been preaching through the book of Ruth one chapter at a time, and it has been going really well. I had a lot of positive and specific feedback from this past week's message. And by feedback I'm not talking about the simple obligatory things that people often say when they don't have anything else to say. I'm talking about specific references and conversations about the meaning in the message. It's nice to know people are paying attention! No snoring yet! Just as a personal update, I am really enjoying what I am doing. You spend all the years working hard in seminary, serving in other churches, never knowing exactly how it will go when you are out on your own. It's going GREAT! I really was uncertain about becoming a Senior Pastor, especially in a 1 pastor church. That's not a reflection on the church, but is my own fear of not being sure I was ready. I'm still not sure I'm ready, but I know now that I'm doing what I am supposed to be doing, where God wants me to be. And that is exciting. And scary. And challenging. It is forcing me to walk in faith, something I am not inherently gifted at. So it's a good thing, an uncomfortable thing. My church members have been incredibly gracious and supportive, which makes all the difference in the world to my success. Tonight I am taking my high school group (called Youth Chat) to Mankato to grab a quick bite of supper and then to Expelled: No Intelligence Allowed. Focus on the Family's Pugged In Online review. My wife and I saw this movie late last week and it spurred some good conversations about what we believe and the systematic censorship exposed in the movie. It is a sort of documentary, so it is plodding at times, but overall we really enjoyed it. The last few minutes are the best part of the movie with Richard Dawkins looking quite foolish in his infinite regress based argument for aliens planting a seed on Earth leading to the creation of life on our planet (and isn't that a form of Intelligent Design?). Talk about having to have faith to believe in something unsubstantiated! I could go on, but won't, because this post isn't about evolution vs. creation etc. Agree or disagree with Ben Stein's premise, he clearly exposes systematic censorship within academia against Intelligent Design. A great post today by Craig Groeschel of LifeChurch.tv on his thoughts about how to prepare a sermon. I'm with Craig on this one. I'm of the sort of person where I need to let things percolate in me for a while before I'm ready to assemble my sermon (or any other important piece of writing). I can sit down and bang something out if I have to, but it won't be nearly as good as it could be. Since I am a new pastor, I am slowing trying to get ahead of the curve and work on my sermons farther out each month. I'm not there yet. I'm not where I want to be, as the combination of learning the job, trying to sell a house, finding a job for my wife and a myriad of of things keeps me from being able to sit down and plan the next 6 months where I want to go. But slowing I'm working on it, and I intend to reach the point where I have a vision for where I am going with sermons 4-6 months in advance. Certainly I'm still open to God's leading to cover something else as need or conviction arises, but this way, I have a plan, some direction, something to focus on. We’re talking about the importance of “bringing” you in a message to your church. To bring you means you’ll have to spend more time in study and prayer. A “Saturday night special” sermon that you throw together won’t likely empower you to bring you. A rehashed sermon you preached five years ago will likely feel like a rehashed sermon you preached five years ago. You must live the message. Breathe the message. Experience God’s Spirit speaking to you. That generally takes time. In my opinion, the best messages are usually ones that are born out of days or weeks of wrestling with God’s Word. Interview a few other people about the text. See how God speaks to them. God might say something to you through them. 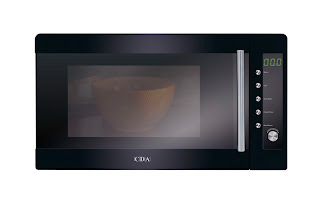 Let the message “cook.” Instead of microwaving a message, give God time to slowly burn the message on your heart. If you are unwilling to do what it takes to bring you, your effectiveness as a biblical communicator will be drastically limited. Brenton Balvin is a guy I shared a number classes with at Bethel Seminary. He has a great post on his blog today about areal life example of where ignorance damages the authority of scripture. One thing that jumped out at me were the multiple times that people would make assertions about things without the support of Scripture. I was reminded while I sat and listened to the group that as followers of Jesus we need to KNOW our Bible's INTIMATELY. Go read the whole post to get the context. Good stuff! What’s Your Church’s Biggest Strength: Management or Leadership? Todd Rhoades posted the following over on MondayMorningInsight.com. Leadership and management guru Peter Drucker once said, “Management is doing things right; Leadership is doing the right things.” When I read that recently, I thought that this statement could be very true in today’s American church. Here’s my theory: Could it be that while most churches are ‘doing things righ’t, a smaller group of churches are ‘doing the right things’? The percentage of churches in decline is America is substantial. (I’ve heard as high as 90%!) It’s my hypothesis that each of these churches (and if you take the conservative church count in the country of 200,000 churches, 90% would be a whopping 180,000 American churches!) have to be ‘doing things right’ to some degree. Doing things right means things like conducting weekend services, maintaining property and facilities, making payroll, and caring for their attenders. In essence, as long as there are still people attending most churches, the churches, by and large, are ‘doing things right’, at least from a management standpoint. But what about the other 10% of churches in America that are growing and vibrant? Could it be that they have moved beyond ‘doing things right’ to ‘doing the right things’? Every single one of the growing churches I’ve seen are very outwardly focused. They reach out and specifically target reaching their communities. They move beyond ‘management’ to dare to try new things; new programs; and new approaches. They are not afraid of change. They are not afraid to confront the culture. The are leaders. And the result is a growing and community-changing church. FOR YOUR INPUT: What’s your church’s strength? Management or Leadership? I have posted on my church's web site the sermon I preached last weekend from Ruth 2. I preached through the whole chapter (and all of Ruth 1 the week before). I thought it was a good sermon. For those who were at First Congregational Church of Waseca this last weekend, you will see that I don't stick exactly to my script, but rather it's a rough outline for where I am going. While I might write the whole sermon out most weeks (I didn't for Ruth 1, therefore not much to post but some odd notes) I always stray from that with what comes to my mind. I write it out because it is good practice, and it keeps me from saying things I don't want to or shouldn't say. It keeps me on track, and gives me an idea of where I want to go when I am preaching to keep things progressing forward. Tony Morgan recently read the book Simple Church and commented on his blog about it. I read Simple Church while candidating for my current church, and to say that it had an impact on me would be like saying Minnesota has a few mosquitoes. Tony's thoughts are below. Last week I gave my copy of this book to one of the leaders of my church with the hope that he'll read it and it will inspire and challenge him like it did me. I finally had a chance to read the book Simple Church by Thom Rainer and Eric Geiger. It's been on my list for the last year or more, but I didn't prioritize it. I wish I had. Honestly, I think it's one of the top five books I've read on church ministry. This is one of those every-church-leader-should-read books. Great, great insights. I wish I would have written this book, because it certainly captures my heart for the local church. "Churches with a simple process for reaching and maturing people are expanding the kingdom." "Many of our churches have become cluttered. So cluttered that people have a difficult time encountering the simple and powerful message of Christ." "Great amounts of activity do not produce life change. It only gives the impression that things are happening, that there is life." "If the purpose is hazy, the process for making the purpose happen has not entered the picture." "If the goal is to keep certain things going, the church is in trouble. The end result must always be about people. Programs should only be tools." "The goal is to partner with God to move people through the stages of spiritual growth. Changed lives are the bottom line, the intended end result. Christ formed in people is the goal." "The first group consisted of growing and healthy churches. These churches had grown 5 percent a year for three consecutive years. Few churches do that. Sadly, less than 2 percent of all churches in America experience that type of consistent growth." "Some churches are not clear on a ministry process because they do not have one." "Focus does not make church leaders popular." "To be simple you have to eliminate the unnecessary. Most of the things you eliminate will be good things. They were started with a passionate leader and a perceived or real need." "People will not live out something they cannot remember." "When you are tired of talking about it, people will just be in the first stages of understanding." "Sadly, in many churches people are stuck in the same place spiritually. And there is no intentional process to move them." "You must begin with the process, not the programs... If the programs do not fit into your process, you need to eliminate them." "Choose one program for each phase of your process... Multiple programs for each phase of the process divide attention and energy." "Church leaders must avoid the two extremes of micromanagement and neglect. Micromanagement stifles creativity and hampers shared leadership. Neglect fosters complacency and leads to a fragmented team." "One would think that the more programs and the more special events that are offered, the great the impact. Our research has confirmed that the opposite is true." "The churches that experienced the highest percentages of growth were the churches that offered fewer programs." "The majority of churches choose not to change. They would rather die. Tragically, in most churches, the pain of change is greater than the pain of ineffectiveness." Pardon me while I wipe drool from my keyboard. Today the ESV Study Bible web page went live. The ESV is my preferred translation of the Bible as I have mentioned before. I have one full sized ESV and a couple of pocket ESV's. My full sized ESV is great, but it has a binding problem whereby the cover has slowly begun to separate itself from the rest of the book. I have to hold it carefully when I read, or it'll tear completely free. It has been glued once, and it didn't really last long so I'm not doing it again. The argument could be made "Don't you already have a Bible or twelve?". Yep. I do. I gave one away just last Monday. BTW I love giving Bibles away. I do have a number of older Bibles of mine in various states of usability. Some of those are in need of retiring, others I plan on giving away. I have a few Bibles that are just for reference - an NASB for example - that I want for the odd occasion that I want either a very literal or a highly interpreted version to cross reference. Yes I do have Bible software that does some of this, but not all the major versions are within my price range to add these to my software. I got a handful of Bibles at various times through Seminary too, ones that were being given away by publishers. With all that said, I have nothing that comes close to the ESV Study Bible. I have an NIV Study Bible, but I've always felt that it fell short on the extras that a Study Bible should contain. A bunch of super tiny print foot notes, but not much else. So when October comes, I'll be getting a new Bible. I suspect I'll order it online so I won't have to tent out in front of a Christian book store somewhere the night before, even though that does sound like a lot of fun. Visit the new website for the ESV Study Bible and learn more about this exciting new edition of the best old book. The ESV is a dream come true for me. The rightful heir to a great line of historic translations, it provides the continuity and modern accuracy I longed for. Now the scope and theological faithfulness of the ESV Study Bible study notes is breathtaking. Oh how precious is the written Word of God. The ESV Study Bible is the most important resource that has been given to the emerging generation of Bible students and teachers. The ESV Study Bible is the best. Period. The definitive clarity and beauty of the ESV Study Bible is extraordinary. In a world where words are distorted to mean anything, it is wonderful to have complete confidence in the reliability and truth of the Bible—so clearly and persuasively demonstrated by this world-class team of Bible scholars and teachers. For everyone who wants to understand God's word in a deeper way, the ESV Study Bible is an outstanding resource. I will be an avid user! Wow! 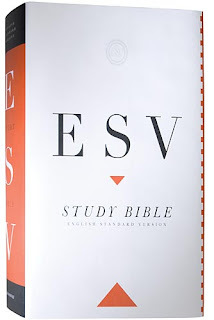 Concise, lucid, enlightening—the ESV Study Bible is an amazing resource. With its textual fidelity, doctrinal substance, and artistic beauty, the ESV Study Bible will be an immense help to all who hunger for God-breathed Scripture. I wholeheartedly recommend this exceptional resource. I can't imagine a greater gift to the body of Christ than the ESV Study Bible. It is a potent combination indeed: the reliability and readability of the ESV translation, supplemented by the best of modern and faithful scholarship, packaged in an accessible and attractive format. A Christian could make no wiser investment for himself, a pastor could recommend no better resource for his congregation. I got up extra early today to hunt down a part for my truck. Yesterday I smoked my idler pulley bearing on my S-10 on the way home from church. And by smoke I mean that it got so hot that the aluminum spacer on the back side of the bearing melted and oozed it's way into the bearing. According to Wikipedia, the melting point of aluminum is 1220.58F. Since it might be an alloy, the melting point may be a bit lower than that, but nonetheless it was smoking hot. Thankfully I made it home. So I ran and got parts yesterday. A quick trip to O'Rilley Auto Parts scored me a new pulley and bearing. This was just before the parts store closed, so I was happy. I got home, and upon extraction of the old pulley I discovered the new part didn't have all the things I need. I hadn't previously realized that I melted the mounting spacer. So I quick search the web and find that Autozone is open later on Sunday than all of their competitors in the St. Paul/Minneapolis metro area. I run over before they close, only to find the space is a dealer only type of thing. Of course. This can never be easy. And dealer only means it's gonna cost you! I dig up Merit Chevrolet's web site, the dealer closest to me, and see listed that their parts department opens at 7:00am. 7:01AM today I call and work my way through the phone tree to the parts department phone line. Ring ring ring...thank you for holding, all service members are busy with customers if you would like to leave a message please press 1 others pleas keep holding. Over and over again. For 15 minutes. Wow, they must be busy. After 15 minutes, I hang up, I'm getting tired of listening to this message (I didn't want to leave a message, I only have access to my wife's car until 8:00AM, a call back at 9:00 does me no good.) So I hang up, and call back 5 minutes later. Phone answered on 2nd ring, and I ask for Parts. "Sorry sir, they aren't open until 7:30AM." So I ask the young lady who answered the phone if she would let someone know the web site says 7:00AM. "I will let someone know." Click. Dial tone. Anyone else see a customer service problem here? An opportunity missed? "Can I take your number sir?" "I'm sorry the site is incorrect sir." (BTW, the door of the service department lists the parts as not opening until 8:00AM!) Or even "Is there any other thing I can help you with?" Since I have had a previous experience Merit that was overall positive, and since I absolutely need this part for my truck to function, I call them back at 7:30AM. Parts answers right away once I am passed through. They have the full idler pulley assembly (rather than just the pulley and bearing). So I RUSH over to pick up the part before my wife has to head to work. I can't make her late, even if I have to walk to the part. $74 later and I'm out the door. The O'Rilley part was $21. Ouch! But the first one got 179,000+ miles, so I figure I won't ever have to do this again. I wince, and pay, and make haste to home so my Banana (my nickname for my wife for any newer readers) can get to work pronto. I also sent a quick email to Merit letting them know my experience. I might post some photos later of the slagged bearing spacer and melted pulley. And we'll see if I ever hear anything from Merit on this missed opportunity for customer service. I don't want anything from them, but I do think they would want to know how they can improve for future customers. Yesterday I put a new pitman arm and idler arm in my truck. $425 later and it rides better, and I'm not afraid that it will crash off the road every time I hit a pot hole while going around a corner at speed. So today, just after I get off the highway near our home, I smell something getting hot. I check my gauges, and nothing is registering from my truck. I figure it must be the car in front of me. 1 block from my house, my truck starts to squeal under the hood. Curious. Just as I turn into my alley, the truck starts to sound bad, not running quite right, clearly something is wrong. I pop the hood as I enter the driveway, and see that my serpentine belt is barely turning, I've lost tension. I quickly shut the engine off and investigate. A pulley has locked up, the bearing will no longer turn and this caused the belt to jump off this tensioner pulley. So it looks like I'll be working on my truck the rest of the afternoon once I'm able to get parts. It'll need a new belt, as I could smell the rubber burning off the existing one. Of course it is a fairly new belt, I just installed it last November. Cars are money pits. Bleh. But praise God it died just as I got home safely and it wasn't something worse! Mark Driscoll drools over his first taste the the not yet released ESV Study Bible. For the record, the ESV is my preferred translation of the Bible. It is what I study from daily, and what I use when working on a sermon. I do however preach from the NIV, as that is what is in the pews of my church, and the cost of the change over isn't worth the money, effort or time at this juncture. Far more important and necessary things in our church's budget. I will be preaching on Ruth the next few weeks. I led a Bible study this past Monday where I gave an overview of the whole book, and it really inspired me and reminded me of this great story. I'm looking forward to preaching it! I've been working on the sermon all morning, and got a few hours of study in last night for this week's message. Later today we have an appointment with our CPA, Mr. Larry Mahoney. I really hate working on taxes. Last year we got a nice refund, but we are thinking that won't happen again this year. Hopefully Mr. Mahoney still has a few rabbits in his hat! Seriously though, if you are looking for a solid and highly qualified CPA in St. Paul, Larry Mahoney has done a good job for us. It's not cheap, but our taxes are complex, and I suspect with all of his abilities and tools the out of pocket cost is greatly offset with savings we wouldn't have otherwise gotten. 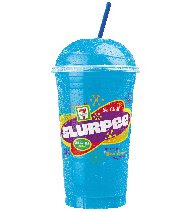 You are kneeling down in 2 inches of your favorite flavored Slurpee (or Slush Puppy or Icee). There is Slushy everywhere, dripping from buildings, sliding off of cars, and it's as if someone is standing above you letting the Slushy machine pour down upon you, but somebody forgot to add the sugary flavoring. Now imagine changing a tire by head lights in that same situation. That is where I found myself tonight after a distressed phone call from my wife. Seems her right front tire was dead flat. 30 bone-chilling dripping-wet minutes not-a-dry-spot-on-me later and the doughnut spare is on and we head home. But at least we got to experience Thundersnow again this year! Do you truly want to make a difference in this world? Do you want generations to be different because you knew Christ? Do you want to lead a church that will impact your city, state, and the world? Do you want your preaching to awaken dormant spirits, stir complacent hearts, convict wayward sinners? And when He does, you’ll be ruined—in the best sort of way. Your heart will ache for those without Christ. You’ll see the darkness of your heart clearly. You’ll be bothered deeply by things you used to easily overlook. You’ll cry often and easily. You’ll know Jesus more intimately. I just posted a quick summary of the sermon I preached this last weekend. I submitted the following article on Friday for the Waseca County News (published next Thursday?) as part of my duties as a member of the Waseca Ministerial Association. Then today Justin Taylor linked to a blog post by Justin Childers that is probably even better than my article on this subject. Today I would like to share with you some things my more experienced (and likely wiser) peers are unlikely to share with you. • 80 percent of pastors say they have insufficient time with spouse and that ministry has a negative effect on their family. • 40 percent report a serious conflict with a parishioner once a month. • 33 percent say that being in ministry is an outright hazard to their family. • 75 percent report they’ve had a significant stress-related crisis at least once in their ministry. • 45 percent of pastors’ wives say the greatest danger to them and family is physical, emotional, mental and spiritual burnout. • 21 percent of pastors’ wives want more privacy. • Pastors who work fewer than 50 hours a week are 35 percent more likely to be terminated. • 40 percent of pastors considered leaving the pastorate in the past three months. As a new pastor, these statistics are scary. As a person who has spent his whole life going to church they are even more frightening. So how can you help your pastors? One of the best ways is to pray for them. Pray for your pastor on Sunday night and Monday morning. This is when your pastor is likely most depleted. After the church empties, and the adrenaline rush from leading/teaching/preaching wears off we are sapped and vulnerable. Pray for your pastor on Saturday nights. There are times when most pastors endure little or no sleep on these nights. We have a tough message to bring, a challenge to face, or perhaps our week was chaotic and we just don’t feel fully ready to bring the message God has given us to speak. Pray for your pastor daily. Simply put, we need it. Pray that God would strengthen us. Pray that we would be leaders of integrity. Pray for our health, emotional, physical and psychological. Pray that God is working on us, in us, and through us. Pray for your pastor when they come to your mind. If you are driving down the road, and your pastor pops into your mind, pray for them. The Holy Spirit knows when people need prayer. I cannot tell you how many times God has brought someone to my mind, and I found out later that something was going on that they needed prayer for. Encourage your pastor, and tell them you are praying for them. They are doing the same for you! Romans 12:12 says: Be joyful in hope, patient in affliction, faithful in prayer. Amen. We sang the following song at Crossroads Church in Cottage Grove, MN off and on for a few week earlier this year. This song is infectious. Hours after singing the song and the song was still resonating in my head. And if you haven't heard of them, Desperation Band is worth giving a listen to! DESPERATION IS THE UNITED EFFORTS OF THE STUDENT MINISTRIES AT NEW LIFE CHURCH. WE BELIEVE THAT THE LOCAL CHURCH IS GOD'S CHOSEN VEHICLE FOR CREATING CHANGE. CHANGE HAPPENS LOCALLY. IT HAPPENS WHEN PEOPLE ACT WHERE THEY ARE WITH WHAT THEY HAVE. CHANGE HAPPENS GRADUALLY. IT OCCURS WHEN PEOPLE DO A SERIES OF LITTLE THINGS WELL OVER A LONG PERIOD OF TIME. DESPERATION IS ALL ABOUT STUDENTS BEING CHANGED BY THE PRESENCE OF GOD. AND CREATING CHANGE WHERE THEY ARE BY PLUGGING INTO THEIR LOCAL CHURCH AND STAYING FAITHFUL. THIS IS A GENERATION IN DESPERATE PURSUIT OF GOD: THIS IS A YOUTH MOVEMENT FOR LOCAL CHURCHES. TOGETHER, LETS MAKE OUR LIVES DEFINED BY FAITH AND FAITHFULNESS. AND WE CAN SPREAD SALVATION AROUND THE WORLD. COME ON. IT'S TIME. I posted my sermon from this past weekend on the site I created for our church - First Congregational Church of Waseca, MN. I must say I don't think I've ever heard of another sermon on this passage. I'm sure they exist, but I've never heard/seen/read one! This is from Mark Batterson's blog Evotional. 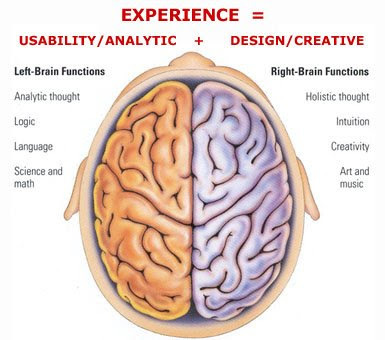 Neurological studies have shown that over the course of time, there is a cognitive shift from right-brain to left-brain. And if we don't find a way to stop the shift, memory overtakes imagination. We stop creating the future and start repeating the past. We stop innovating and start imitating. We stop doing ministry out of imagination and start doing ministry out of memory. A few years ago I read something R.T Kendall wrote that impacted me: "The greatest opposition to what God is doing today comes from those who were on the cutting edge of what God was doing yesterday." I don't want that to be me! One of the byproducts of the neurological shift away from right-brain imagination toward left-brain logic is that we become too logical. And it seems fitting on April Fool's Day to say that great leaders are illogical. The people God uses the most are people that aren't afraid of looking foolish. In fact, if you aren't willing to look foolish you're foolish!